In the past couple of years, UK smashed record after record and is now leading the race to clean energy throughout Europe. UK is not just rolling out an impressive number of renewable energy projects, but also reducing fossil-fueled power plants at an amazing rate. New offshore wind power stations brought more than 2GW of capacity online in the course of 2018, including Walney Extension—the world’s largest offshore wind farm in the Irish Sea, just off the northwest coast of England. The landscape for 2019 is even better. The Beatrice project in Moray Firth is set to bring nearly 600MW of new power online and construction is undergoing for over 700MW of the East Anglia ONE project not to mention the giant 1.2GW Hornsea Project One off the Yorkshire coast. Albeit latter two projects are slated to become fully operational only in 2020, the feeling that UK is quite hot in the renewable energy industry is very strong. Furthermore, Ireland has over 3GW of installed wind capacity and 40% of the entire country’s energy will come from renewable sources by 2020. Could a software company that owns an open development platform specifically designed for the renewables industry disregard such a market? Could an industry expert with over 18 years of experience in the energy sector, and founding shareholder of Gaelectric, disregard such a ramping-up IT company willing to expand in UK? Holding senior executive positions, Barry Gavin managed to bring Gaelectric out of Ireland in UK and USA. Quite strategically, Barry Gavin also led to the establishment of the Gaelectric’s energy trading team. As a result, BaxEnergy appointed Barry Gavin as the Business Development Partner in UK and Ireland with the declared goal of expanding operations in Northern Europe and offering innovative services such as Demand/Response and monitoring of charging stations for electrical vehicles. 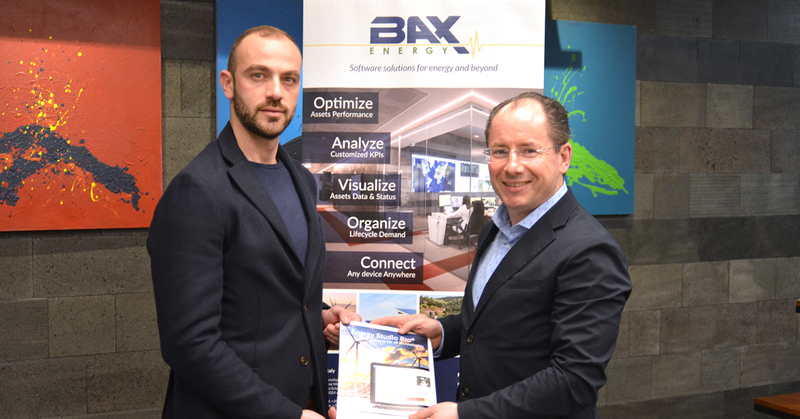 BaxEnergy develops turnkey solutions for monitoring the whole process of power production from renewable sources and across multiple technologies and manufacturers. The company has reached a monitoring portfolio of 85+ GW of renewable energy worldwide. BaxEnergy was founded in 2010 and has offices in Italy, Portugal and South Africa. For additional information about the company and service offers, please contact us at e-Mail: info@baxenergy.com, Tel. : +39 095 733 5135, and visit www.baxenergy.com. 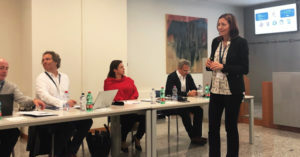 Acireale/Catania, November 8, 2018: Microsoft has chosen Free Mind Foundry (FMF) Innovation Hub, the largest independent Innovation Campus ever opened in South Italy, as venue for the 15th Microsoft EMEA ISV Executive Board, that therefore will be held in the beautiful Sicilian scenery on the slopes of the Etna volcano. Microsoft gladly accepted the invitation of Simone Massaro, CEO of BaxEnergy, long-time Microsoft partner that deploys innovative solutions for energy and beyond exploiting Microsoft products, who is also co-founder of Free Mind Foundry, a unique place where passionate people are committed to change our society and our way of living and working. During the 15th Microsoft EMEA ISV Executive Board, Microsoft will share with Independent Software Vendor partners its vision for the future of the digital transformation and how it is meeting the evolving needs of customers. Free Mind Foundry Campus is pleased to follow Brussels and Zurich in hosting such a prestigious event, the first Microsoft EMEA ISV Executive Board hosted by a board member, keeping on in raising significant attention and interest across the institutional, academic and social environments, both at national and international level. Currently many digital companies operating in different markets work together side-by-side in Free Mind Foundry, coming from different fields such as renewable energy, VR video contents, videogames, artificial intelligence, Big Data and IoT like BaxEnergy, IntelliSync, Red Raion, Stormind Games and WiSNAM. For further information about the event, stay tuned on social media updates from Microsoft and BaxEnergy digital channels.